I've always loved making muffins. To me, they're so much easier than making a sweet bread. The timing just seems to be easier. I guess they both have their points of ease, actually. 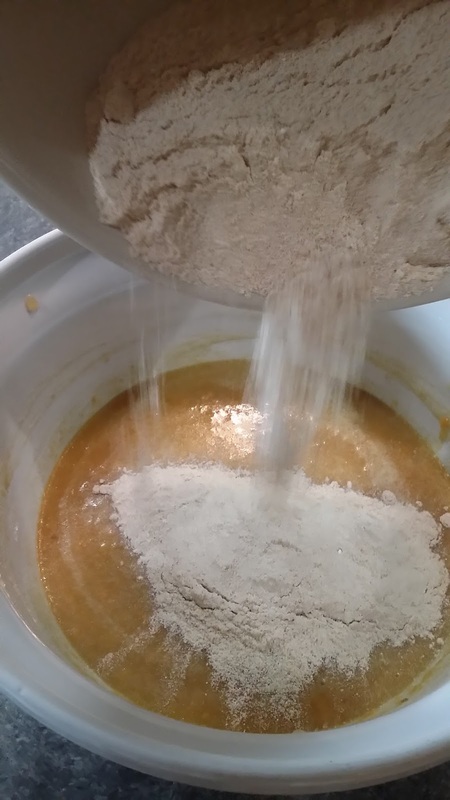 With bread, you can pour the batter into one container and be done. With muffins you have to fill each individual muffin cup. I have just had better results with muffins. 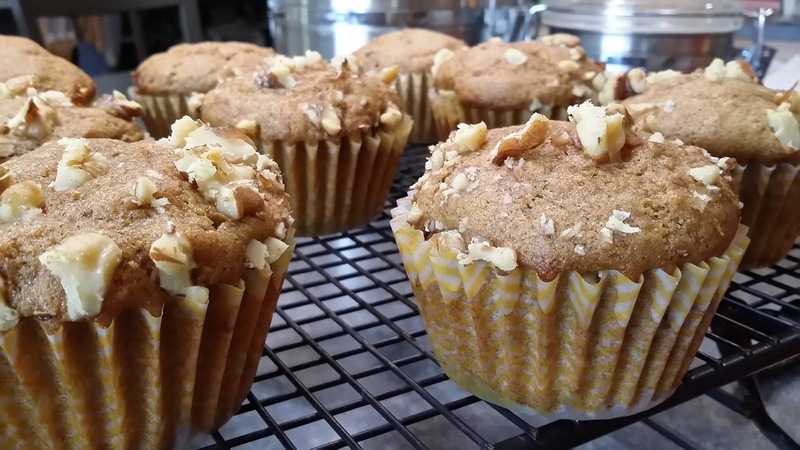 The first homemade muffins I ever made were banana mini muffins. I love that mini muffins are perfect portion control. I usually make mini muffins, but this time I made regular sized muffins. That actually made this a challenge because I was thinking these were going to bake in mini-muffin time. Ha! I forgot they were regular size and those take longer. I actually ended up cooking these babies for 25 minutes. I would suggest you start looking at them at 19 minutes. All ovens are different and your oven might cook hotter or cooler than mine! My oven is actually a little wonky right now, but it's still getting it's job done. 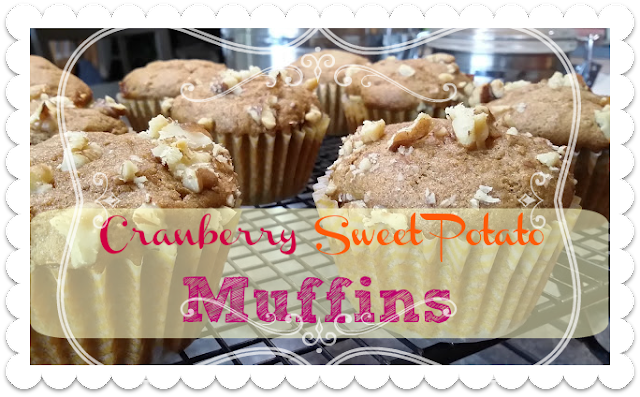 I think the butter and brown sugar add to the richness of these muffins. To me, butter and brown sugar are more Fall-like because they're richer and it adds to the Fall-ness of the Sweet Potato, Apple and Cranberry. 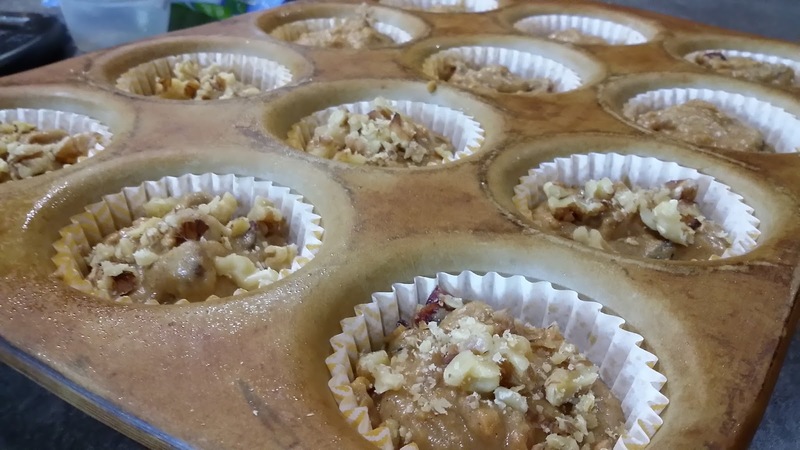 These muffins are just full of Fall goodness! Just a note~~ I skipped the nutmeg that is common in Fall and Winter dishes because people in my family don't like it and I added vanilla extract, because "Why not???" Mix together the brown sugar, eggs and butter in a large Mixing Bowl . Add in the apple sauce, milk, vanilla extract. Add in the sweet potato and mix until it is well combined. Some parts of the sweet potato may look a little stringy. That's okay. That's just the nature of the beast. In a separate bowl, whisk together the whole wheat flour, baking soda, baking powder, salt and ground cinnamon. Add the dry ingredients to the wet ingredients and mix until all ingredients are incorporated. Make sure you don't mix too long. Over-mixing muffin batters can cause a tough muffin. 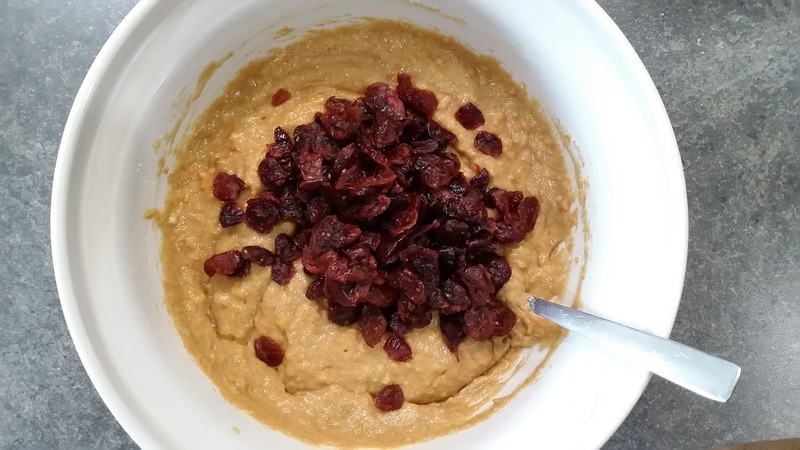 Fold in the dry cranberries. 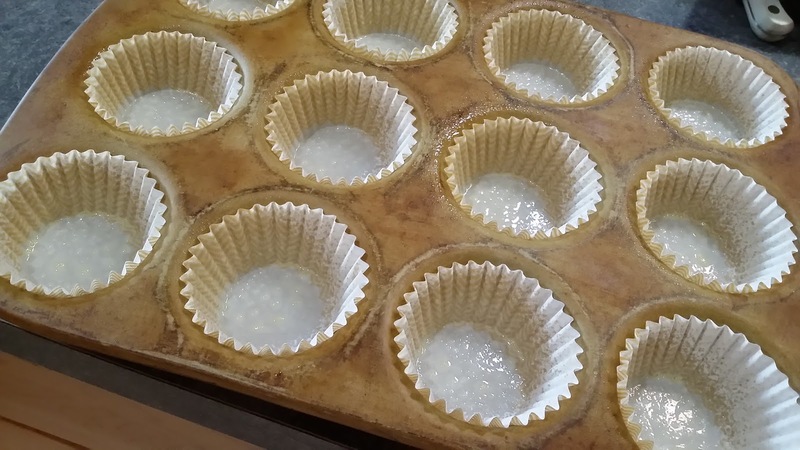 Spray Muffin Pan or use baking cups. I actually used muffin cups and sprayed the muffin cups. This batter made 14 regular sized muffins. Put the batter into the muffin cups equally and let sit on counter while oven is preheating to 350 degrees. I read somewhere that whole wheat flours need time to absorb the liquids so that they'll be more tender. So, I usually let my whole wheat stuff sit for a few minutes. If you'd like chopped walnuts, sprinkle them on top of the muffins before putting them in the oven. Bake for 19 - 25 minutes. The tops will be firm when you touch them and a cake tester will come out clean. What is your favorite type of muffin? How about your favorite way to eat Sweet Potatoes? Every now and then I buy my pantry items on Amazon, especially organic things that I'm having a hard time finding in local stores. Sometimes I can find organic things at a pretty decent price. I was checking to see how much I could find organic whole wheat flour and most of the flours I found were much more expensive than I wanted to pay. I did find one flour though that I might consider. The cost breaks down to around $7.87 per 5 pound bag. I recently saw a 5 pound bag at one of our local stores for $5 something per 5 pound bag. Here's where the cost of convenience comes in. . . . . whole wheat flour and organic flours are usually one of the only reasons I go to one particular local store. If it's during the Winter and it's snowing and I don't feel like freezing my patootie off AND driving through snow to get flour, having 25 pounds worth of ORGANIC whole wheat flour in my house already sounds pretty nice. That might be an instance when I don't mind paying $2.50 more per 5 pound bag to not have to leave my house. We've been lucky so far with a warm Fall, but now they're calling for 5 - 8 inches of snow in the 10 day forecast!!! Buying in bulk on Amazon means I don't have to put on 3 layers of clothes, waste my gas or have the possibility of sliding off the road and wrecking the van. I'd say that's worth $2.50. Haha! Here's the Organic Whole Wheat flour that I found that I might try. It seems to have good reviews and a lot of the reviewers just divide it and plop it in the freezer to keep it longer. I thought that was a great idea since it's sold in a 25 pound bag. That should last me about a month and a half to two months as I begin to make more breads, rolls, muffins, waffles, etc. over the Winter. ~This post may contain affiliate links. Thank you for helping to support our blog. ~This post might be linked to any one of the parties listed on my Link Parties and Communities Page ~Take a minute and follow on Facebook ??? Pretty, pretty please? With a cherry on top? ~Make sure you never miss a Mish-Mash post. Follow by RSS or Email HERE.